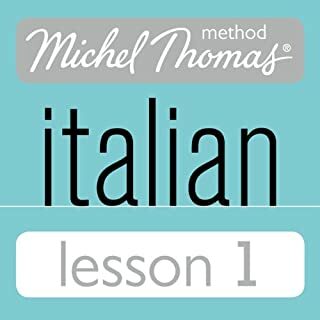 Lessons 1-7, the Beginner course: This course makes no assumption of knowledge of any language other than English and gives the beginner practical and functional use of the spoken language. It is also appropriate for anyone who has studied German before, but has forgotten much of it or does not have confidence in speaking. The Beginner course is designed to take you from complete beginner to intermediate level. Lessons 8-11, the Intermediate course: This course is for those with an intermediate-level foundation in German, or those who have completed lessons 1-7 and want to take their learning to an advanced level and speak German proficiently and easily. In lesson 1 of the German Beginner course, you’ll be able to ask questions and make statements in the present tense with…- similarities between German and English- verbs: 'to wish', 'to learn', 'to want', 'to drink', 'to eat', 'to do', 'to come', 'to be', 'to see', 'to hear', 'to stay', 'to go', 'to understand', 'to stand'- social communications: 'Welcome', 'Good morning', 'Good evening', 'goodbye', 'I'm sorry', 'please'- phrases: 'it is', 'you want', 'with me', 'will you', 'can you', 'I can', 'I know'- adverbs and adjectives: 'very', 'quickly', 'soon', 'well', 'long time', 'good'- question words: 'what', 'when', 'how', 'where'- using infinitives ('to' form of the verb)- time and place expressions: 'today', 'this evening', 'tonight', 'now', 'here'- formulating questions and polite requests- pronunciation- conjunctions: 'if', 'but'- pronouns: 'you', 'we', 'I', 'me', 'it'- expressing the present tense: 'we are staying', 'we stay', 'do you stay? '- forming the negative- using 'handles' (modal verbs such as 'can', 'want', must') In the next lesson you’ll be able to talk about the future and say what you can, must and want to do. 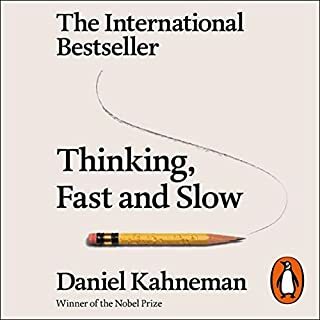 provides a lot of material in a short period Of time and you actually understand what you are learning. Excellent. I know zero German. Started speaking right away. I'm a professional music teacher and can recognize effective teaching skills. Michel Thomas was great. The first 3 minutes might seem boring but stay with it for basic instructions. Then he smoothly goes into teaching you to recognize the familiar traits of English and how it relates to the German. This way you can apply one rule to many words and phrases. I have studied 6 languages and by far this is the best system yet. Basically he teaches what you want to know but don't know with what you already know, if that makes sense. Best teachers do that! 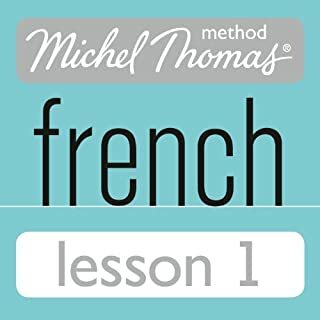 I love Michel Thomas and his method that quickly builds conversational ability in a new language. I've used him for other languages and the German lessons are every bit as good. 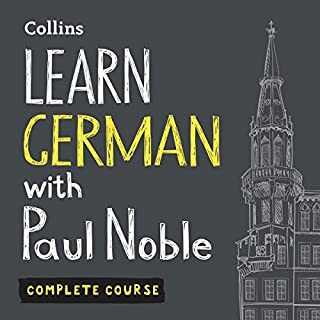 Highly recommended as s tool in learning German! 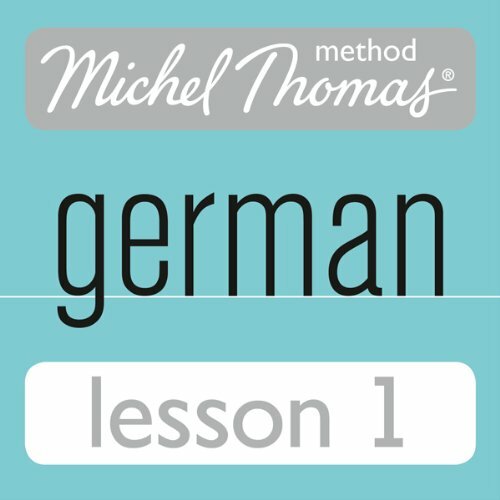 What did you love best about Michel Thomas Beginner German, Lesson 1? It's relaxing. Easy to remember. What about Michel Thomas’s performance did you like? Good voice. Michel Thomas voice. The best. intuitive way of learning and understanding the structure, grammar and etymology of words. Much easier than the usual approach of just being expected to remember it with no reason or explanation. Easy to listen to and it helps the mind to familiarise German words so that they slowly become second nature to you. 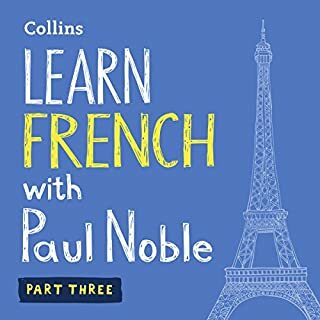 A very good learning experience, I listen for about an hour daily, then write it all down and I'm really getting there.